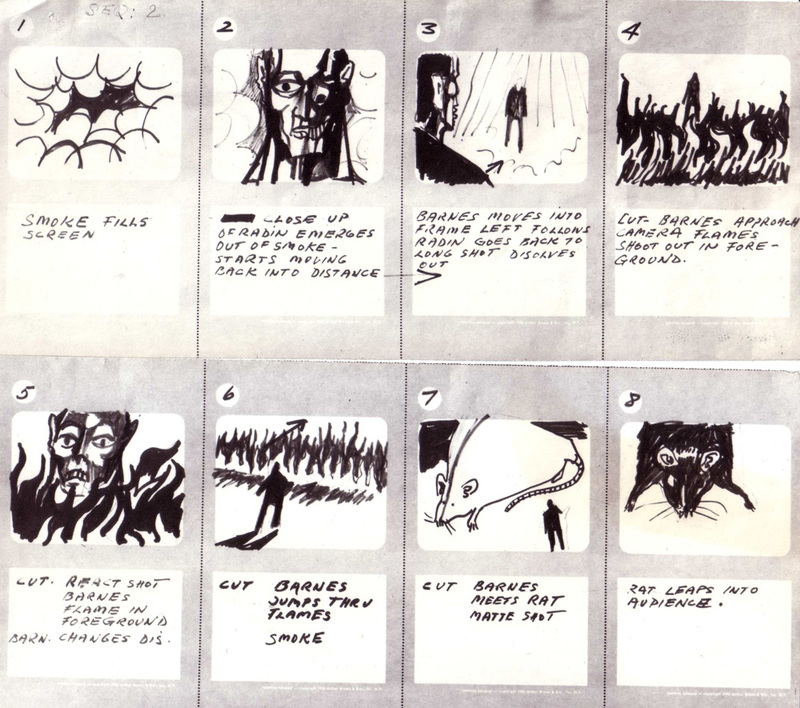 There seems to be a number of scenes cut from both the shooting script and the storyboards of The Mask. However most of these scenes were likely never shot. In the script (which contains the 2-D sequences) the cut scenes are crossed off, indicating that the decision to cut them was made in either production or on the shooting day. 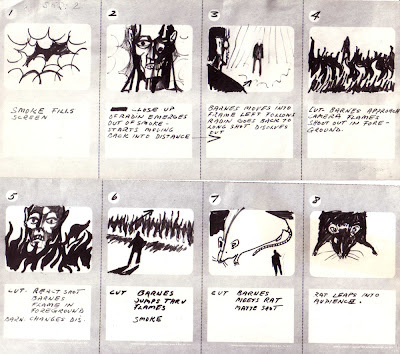 The exorcised shots in the storyboard (the blueprint used to shot the 3-D sequences) contained giant rats and a horse. If these sequences were shot it highly unlikely that Julian Roffman would not have used them. Again it can down to a question of cost cutting and staying on budget. The following opens the second 3-D nightmare. Panels 7 and 8 do not appear in the film. This section, featuring a horse and rider, seems to come at the end of the last 3-D sequence.